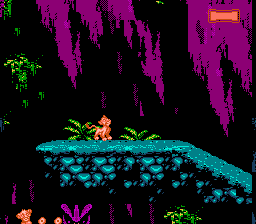 The Lion King Legeng is an action platforming game for the Nintendo Entertainment System. 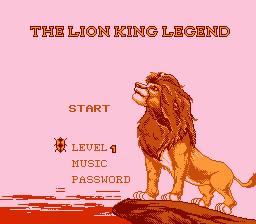 The game is based on an animated movie, The Lion King. 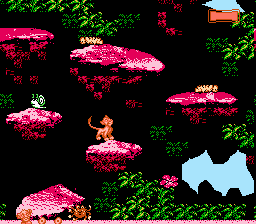 This is the fully translated version of the Chinese pirate The Lion King Legend for the NES. It translates all cutscenes, intro, ending, and title screen. 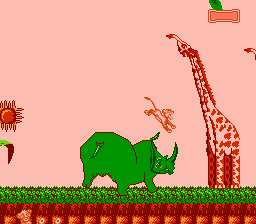 The game is loosely based off of the SNES version of The Lion King.